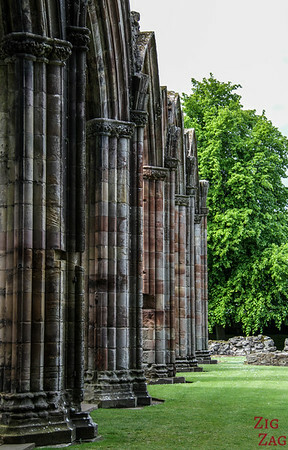 Because of its proximity to Edinburgh, it is one of the most popular attractions in Scotland. 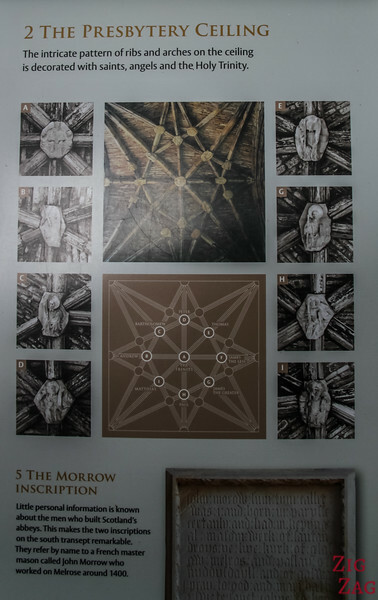 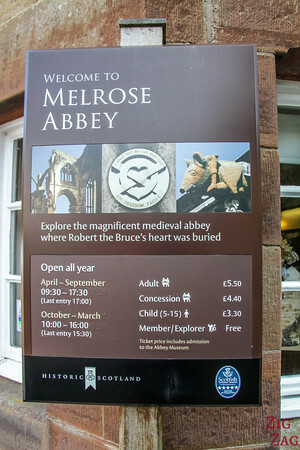 It is located in the heart of Melrose, a pretty town in the region called the Borders. 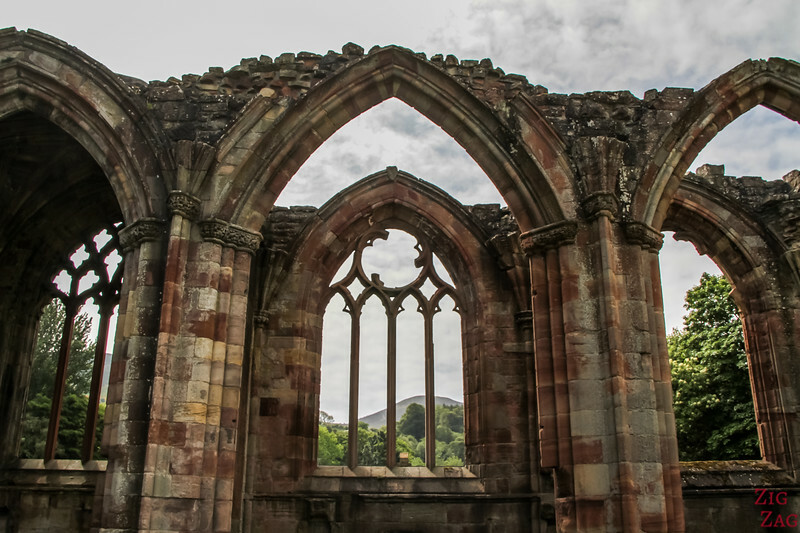 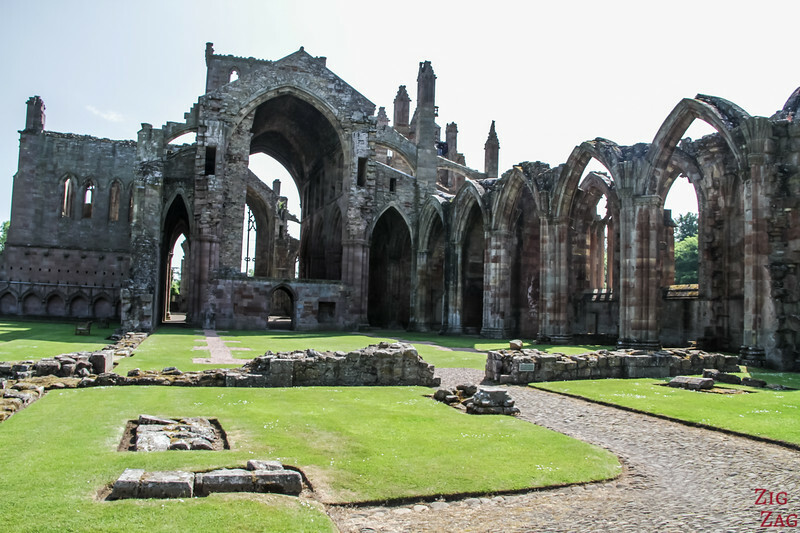 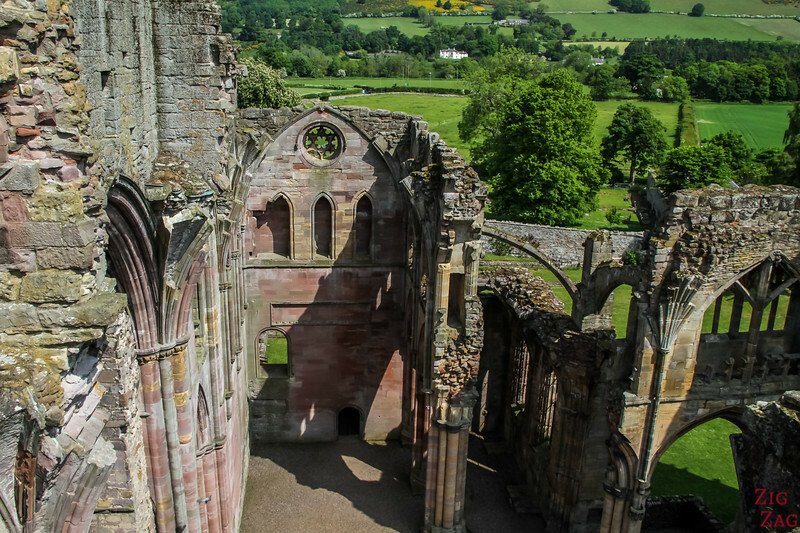 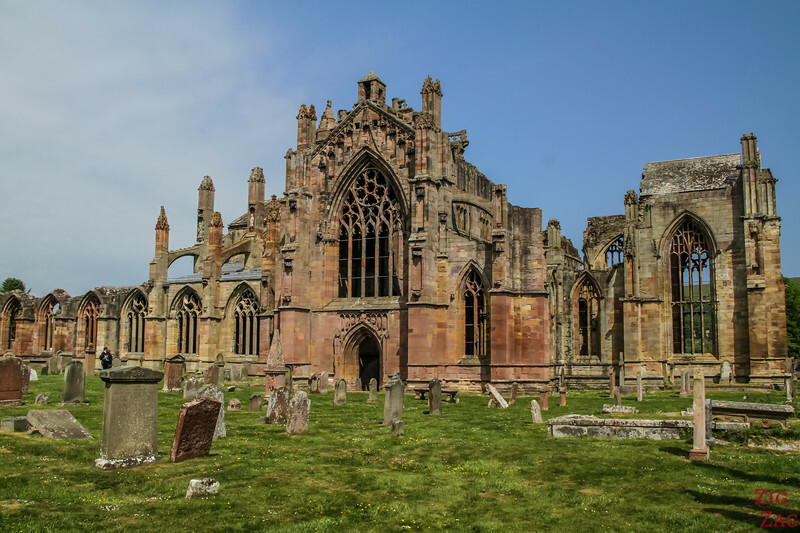 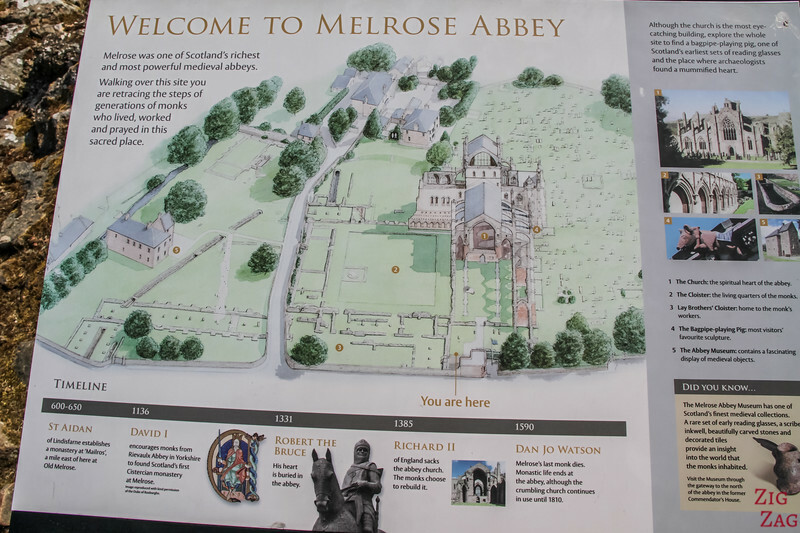 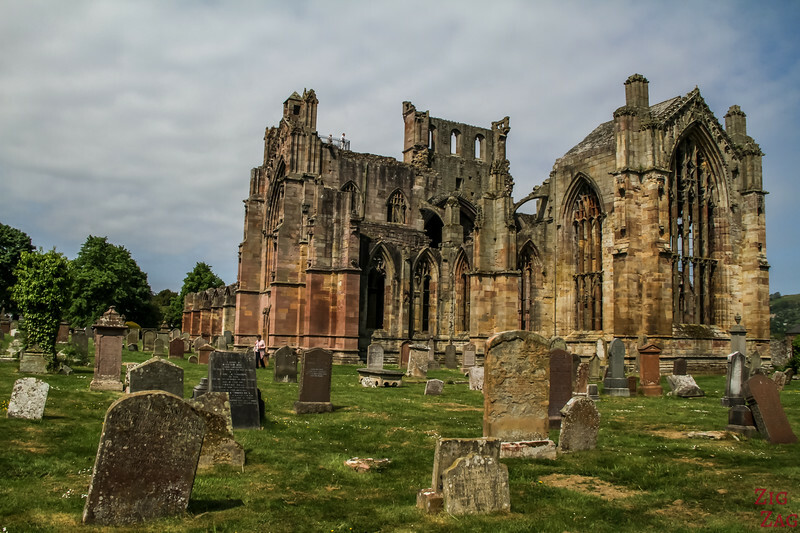 You can walk all around Melrose Abbey so You can see the sheer size of the church from many angles. 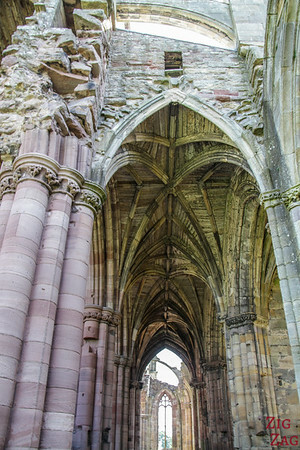 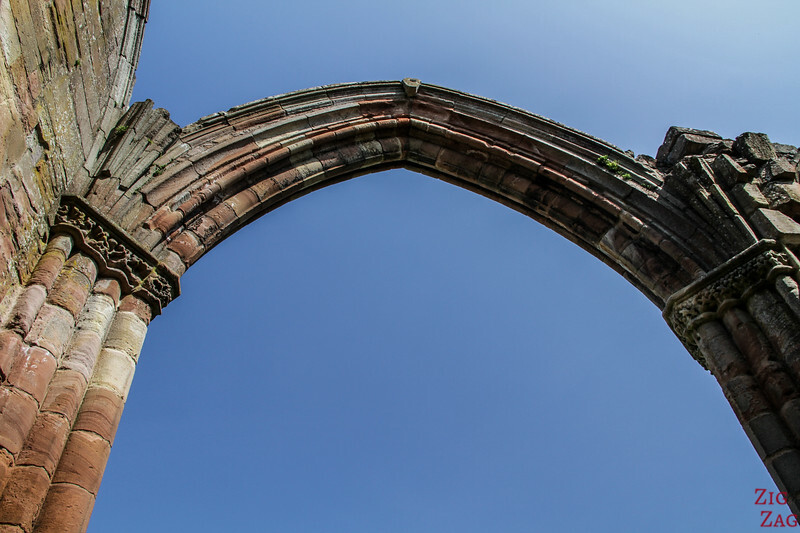 Melrose does not have as many arches as Jedburgh Abbey, but they are delicate and beautiful with different ton of stones. 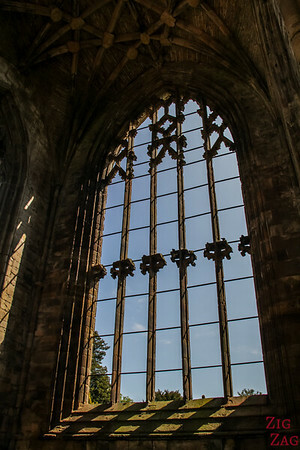 The Church is really impressive, tall and with a very high ceiling. 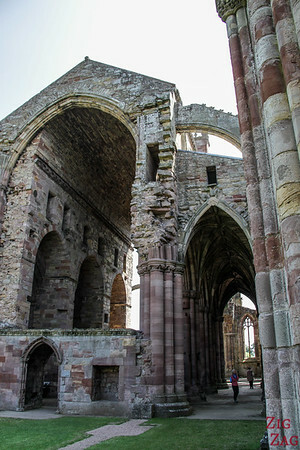 The atmosphere is strong and you can imagine the monks life as they used to walk inside. 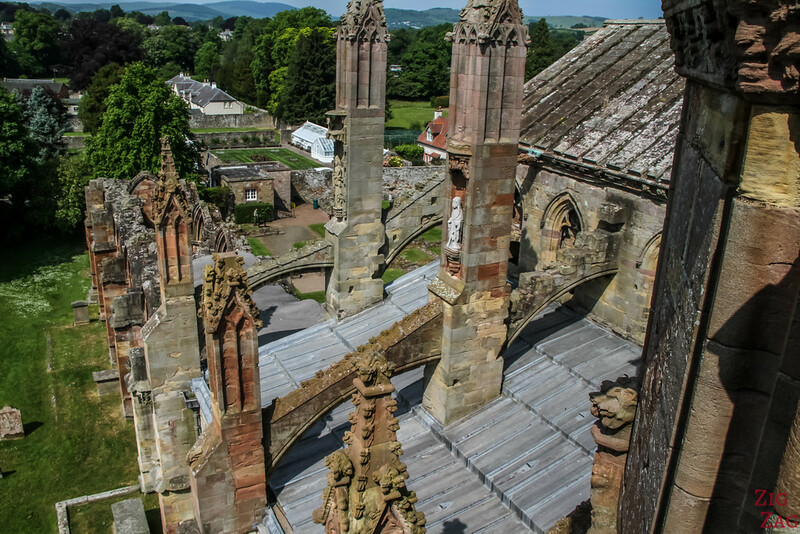 If you can, do not miss the view from the roof of Melrose Abbey Scotland. 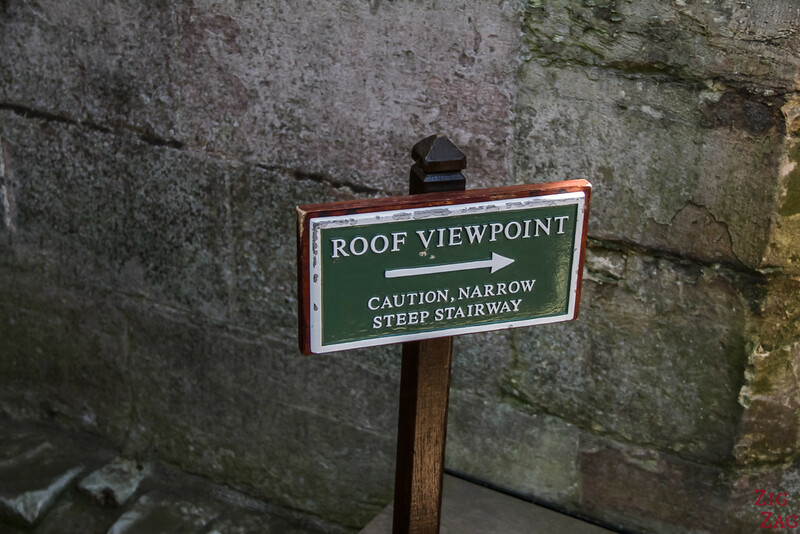 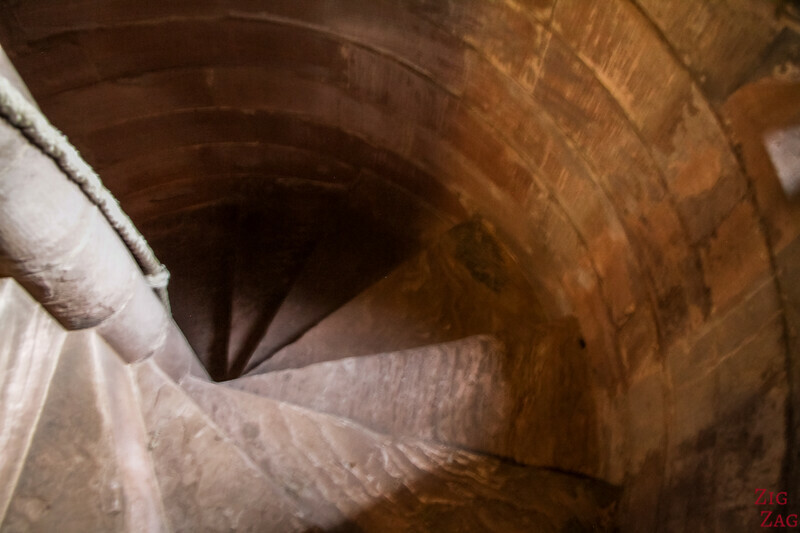 You will have to climb 71 steps on a narrow staircase but the view is worth it. 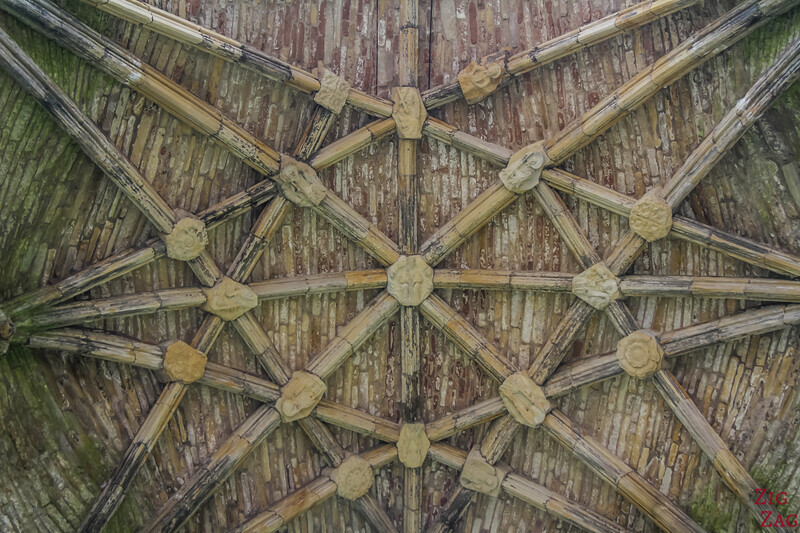 Fore there you can see all the original details in the exterior of the building with sculptures and carvings. 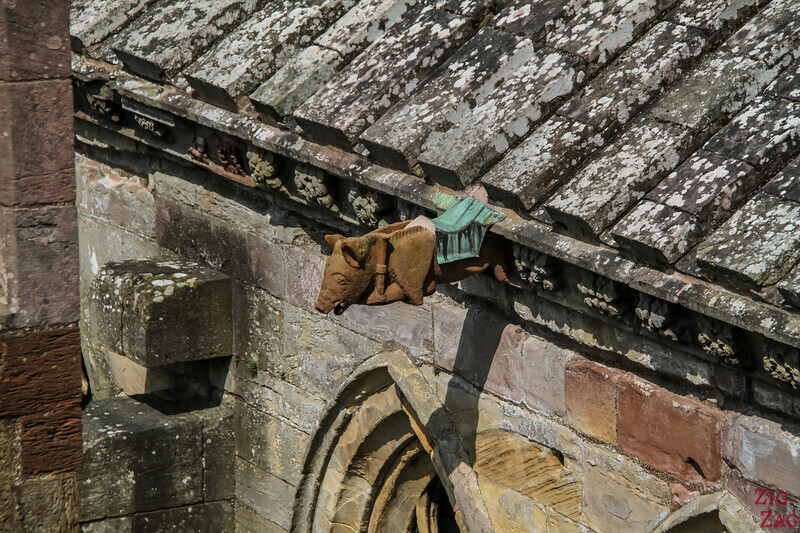 Form the top you also get to see closer its most famous ornament: the bagpipe-playing Melrose Pig. 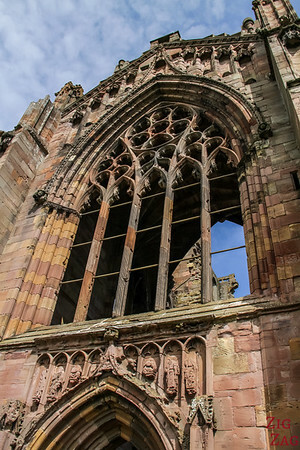 Other ornaments include a fat monk, a musician with a luth, a cook, a mason, dragons and gargoyles. 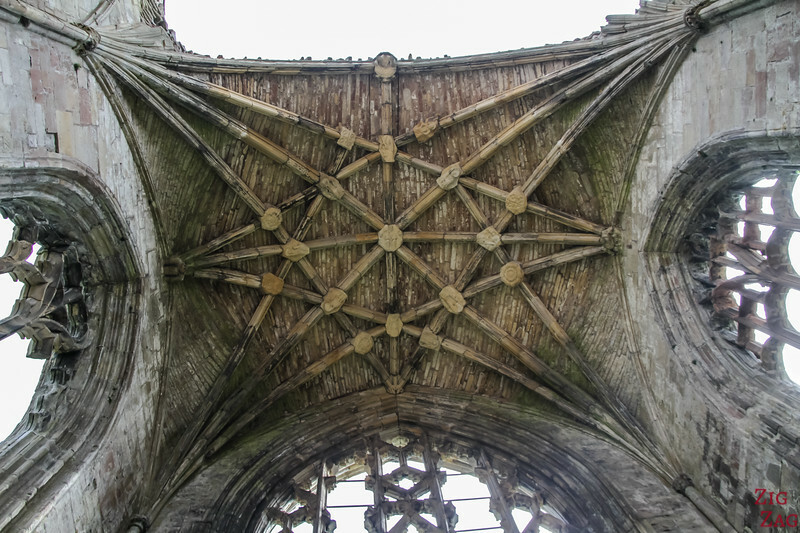 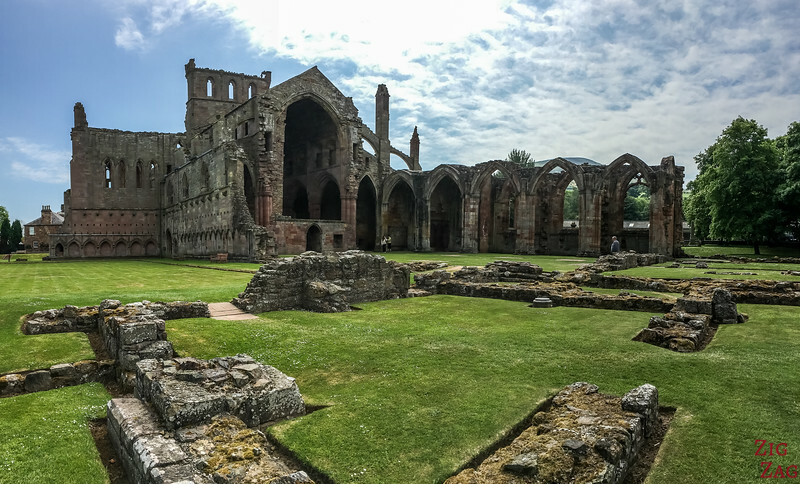 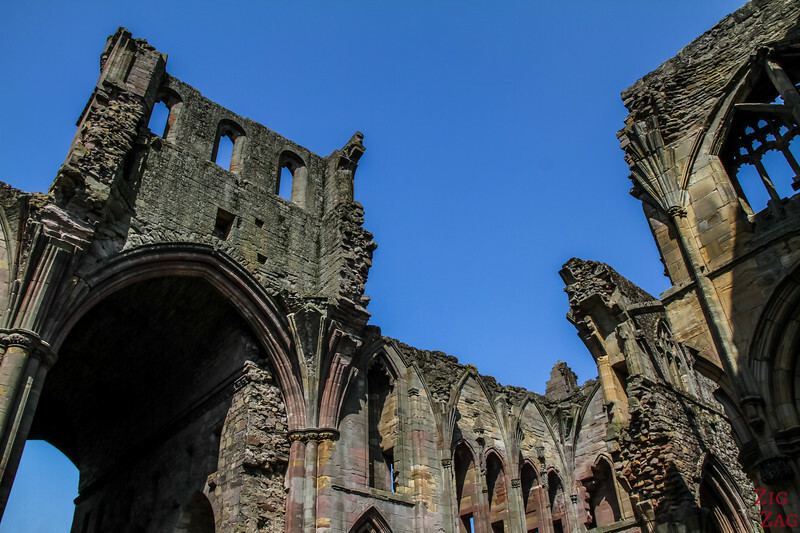 If you ﻿enjoy visiting a﻿bbeys, ﻿also consider﻿ Jedburgh Abbey and Sweetheart Abbey for your itinerary. 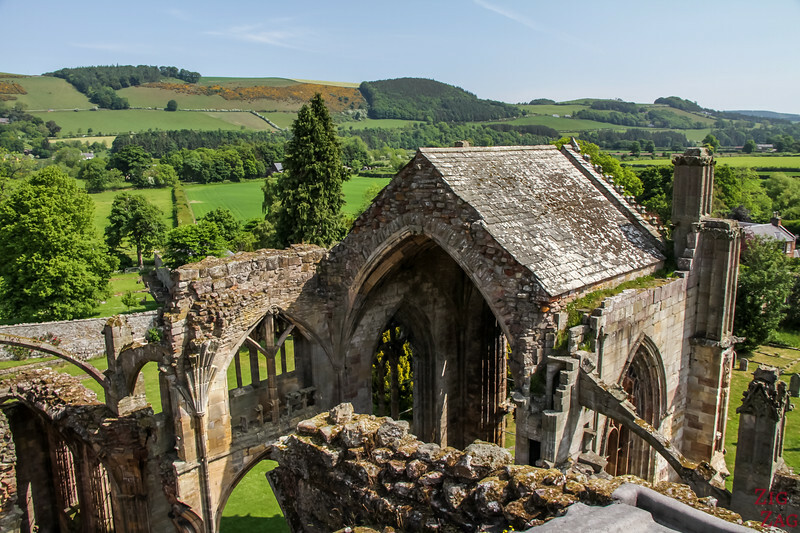 And you could add the the loop The Traquair House that is not to far. 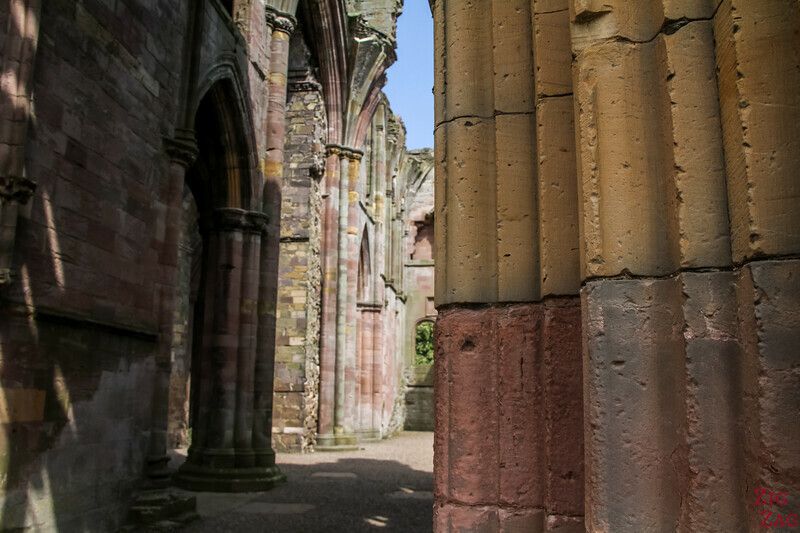 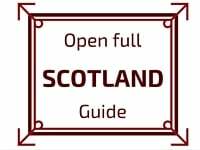 Natasha mentions how she has a great time in her Southern Scotland article.